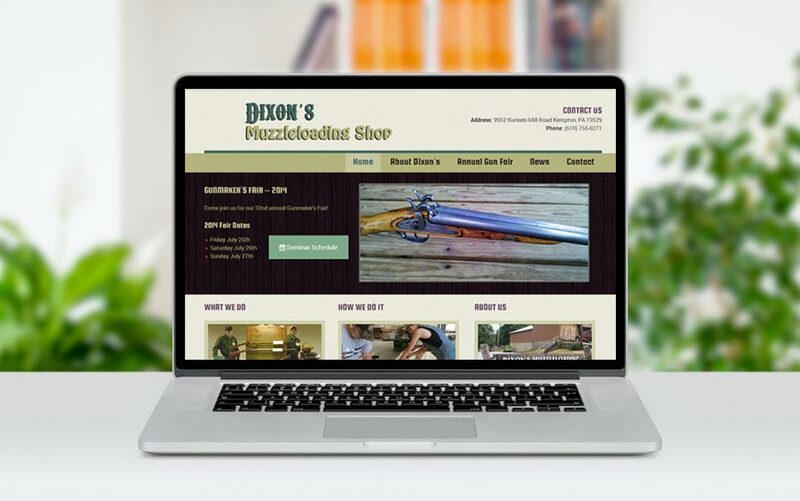 We were contacted by Dixon’s Muzzleloading to redesign their outdated website. Dixon’s has a full store which they needed to promote through their website, but they also hold a very large annual event with thousands of visitors. The site needed to capture two objectives. First, promote the store, and second, help them communicate information about their annual fair. It is essentially two websites in one, with a bunch of features. Photo galleries, a calendar of events which is sortable by category, email newsletter integration, and much more. Content on the site is easily manageable by the client. We know we made the right choice hiring McQ Web Design. We needed our website redesigned with a tight deadline. We have a very large annual event in July, and really needed our site to be complete prior to the event. Bill did an awesome job and finished it with time to spare. We will definitely recommend your services. Thank You! !